Wealth-Lab users should install the CBOE Provider extension from Wealth-Lab.com to easily access and update Put/Call Ratio data directly from the CBOE website. The script simply plots the now-formalized PCRI indicators from our ever-expanding TASCIndicator Library. 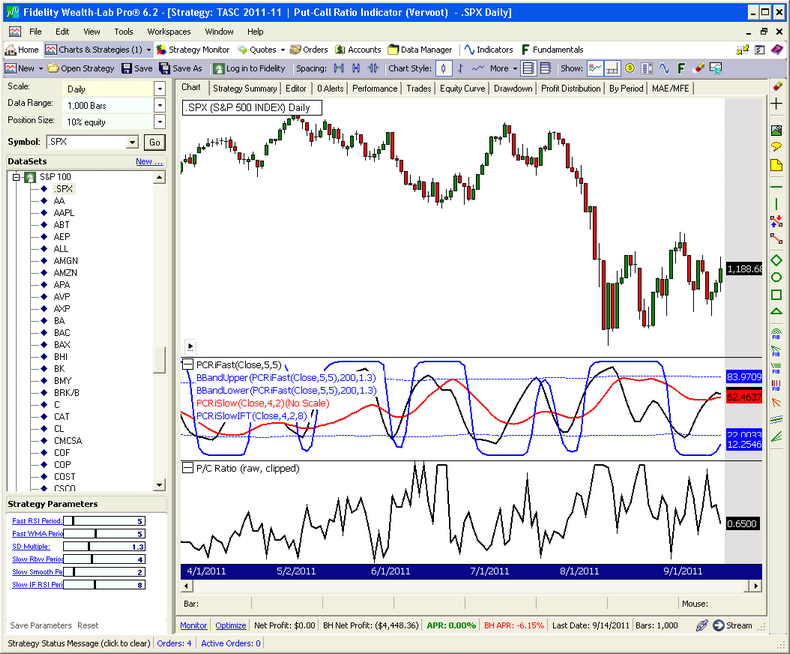 TransformSeries is a routine required only to plot an unscaled version of the Slow PCRI in the 0 to 100 oscillator range of the Fast PCRI and IFT versions of the indicator. Figure 1. Plots of the raw, but “clipped” P/C Ratio data (bottom) and the three PCRI indicators presented in the article.